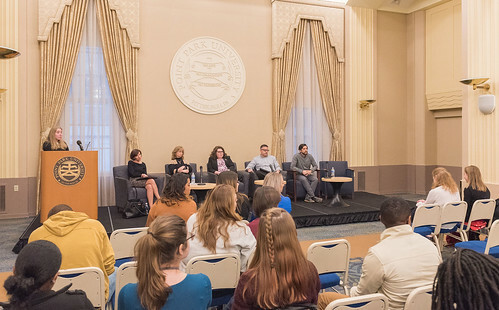 The Student Human Resources Association at Point Park University focused on the importance of networking in the human resources field in their latest panel discussion held March 19. “It was very beneficial to get feedback from the panelists on the do’s and don’ts of networking and then being able to practice those tips with them during the networking session that followed,” said Samantha Weber, a freshman HR management major from Seneca Valley High School in Harmony, Pa.
“I learned a lot about how to be successful during the interview process and how to interact with employers in a respectful way. 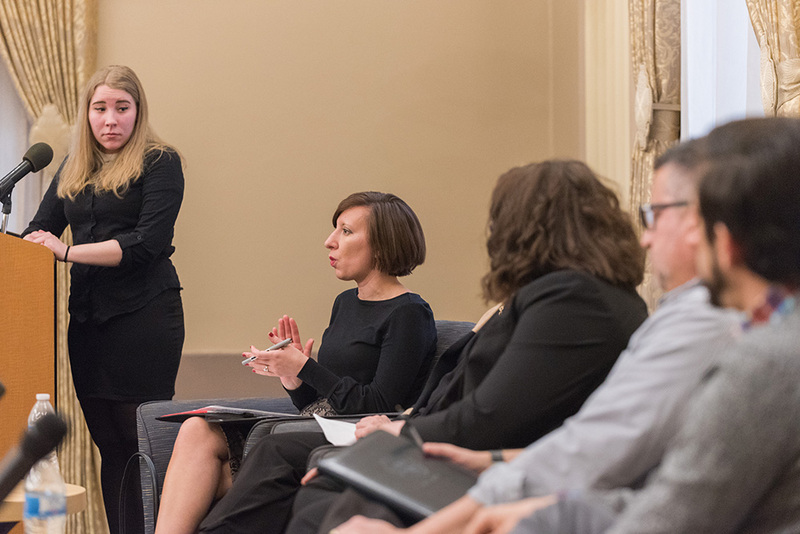 I am very pleased that I attended this panel discussion,” said Tyler Maurer, a junior psychology major focusing on clinical-community psychology from Dalmatia, Pa., and graduate of Pennsylvania Cyber Charter School. “As an HR professional, networking plays a key role in recruiting. All of the panelists did an amazing job and had great advice. After the discussion, I talked with a few of the panelists who gave me tips since I’m an entry-level recruiter,” said Nicole Corcoran, a senior HR management major who graduated from Baldwin High School in Pittsburgh, Pa.